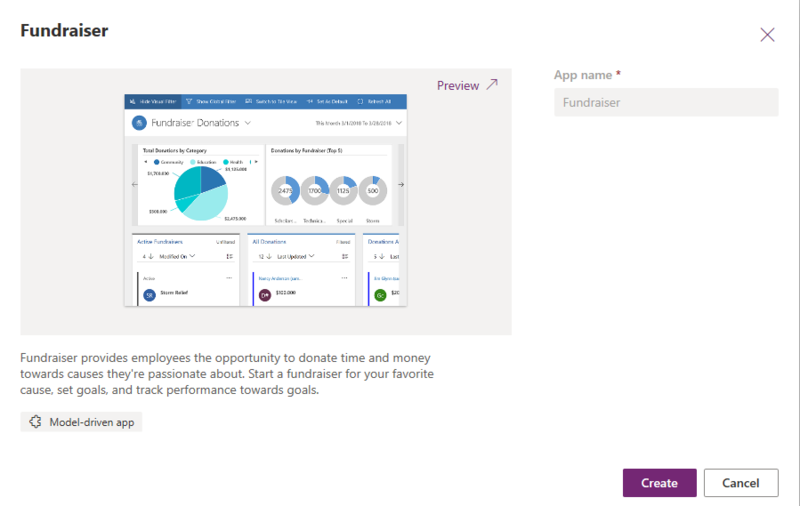 In powerapps.com, use a sample app to explore design possibilities and discover concepts that you can apply as you develop your own apps. Each sample app uses fictitious data to showcase a real-world scenario. 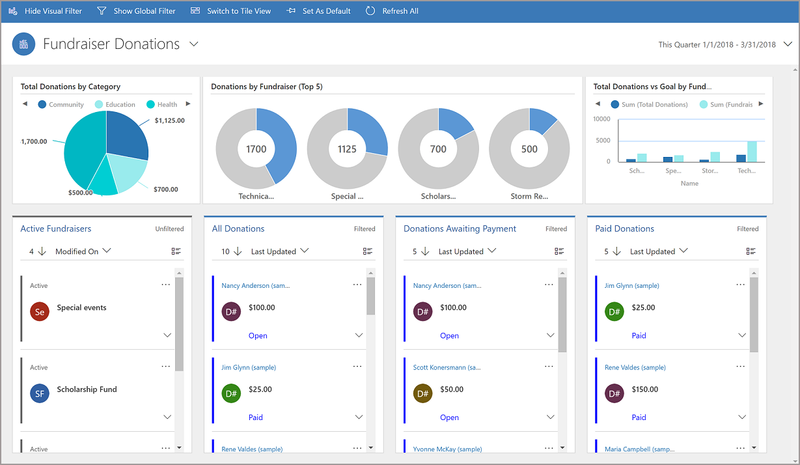 Be sure to check out documentation specific to each sample app for more details. In order to play or edit model-driven sample apps, the apps must first be provisioned in a Common Data Service database. First create a trial environment and database and be sure to check Include sample apps and data. This option installs all available sample apps in your database. Sample apps are for educational and demonstration purposes and we do not recommend installing them in production databases. From the Create page, hover over the sample app and click Make this app. The App designer will open providing multiple options for customizing the app. For additional customization options, click Advanced from the left navigation in the portal. Deleting a sample app requires deleting the corresponding managed solution. 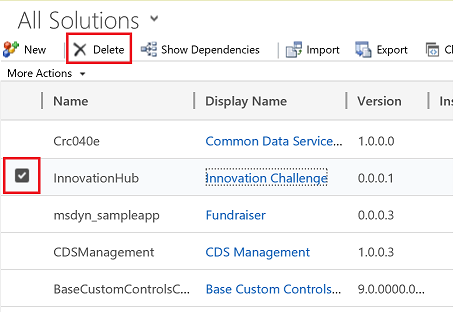 Deleting the solution also deletes any sample data specific to the custom entities for the app. If customizations were made to the sample app, there may be dependencies, which must be removed before deleting the solution. 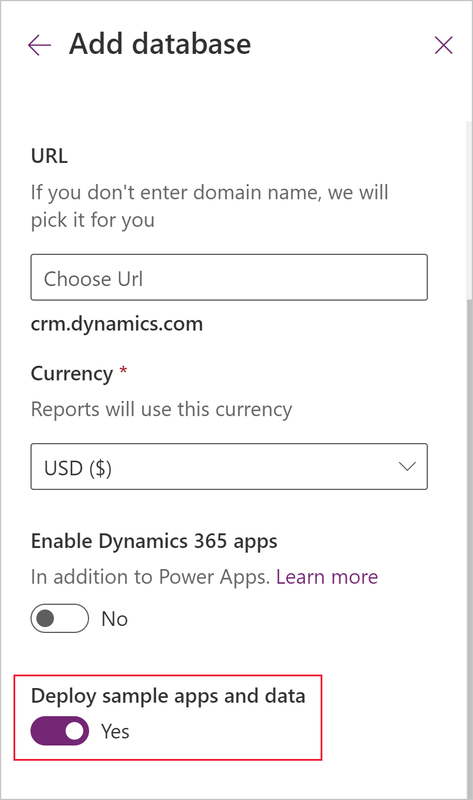 Login to the PowerApps admin portal. Select your Database from the list and click OPEN. Select the solution for the app that is to be deleted and click delete. Do not delete other system solutions unless you're aware of the impact. Navigate to Settings/Data Management/Sample Data. If sample data is installed, the option to remove is available. Otherwise the option to install is available.